If you truly want to understand how our economy got into it’s current mess, who’s responsible, and where they are now this is a must movie. It does a great job of pulling together the threads and showing the whole cloth. Higher interest rates likely Soon?? Saturday, July 31, 2010 | Comments Off on Higher interest rates likely Soon?? The Federal Reserve (the Fed) took aggressive steps during 2009 and early 2010 to drive mortgage interest rates down in order to encourage more people to buy homes and revive the real estate industry. To understand how they did this we need to know what actually controls mortgage interest rates for the home buyer. It is the price of Mortgage Backed Bonds (MMB’s)and NOTHING else. The bulk of these are created by Fannie Mae and Freddy Mac who buy your mortgage from the Bank or Mortgage Broker who originally made it. They then package hundreds of mortgages together as a Bond and sell it off to private investors (Pension and Insurance companies are typical buyers). 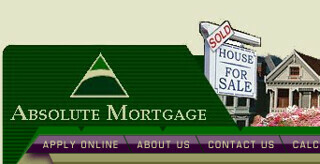 The proceeds from the sale are used to buy new mortgages from the Banks and Brokers. This virtuous circle is the motor that drives the Real Estate market. The Private Investors stopped buying when they realized that a lot of the individual mortgages inside the Bonds were badly designed (Sub-Prime) and payments from were less reliable than they had been told. When investors stop buying MMB’s the Mortgage Lenders have no money to lend and the Real Estate Market freezes up. One solution would have been to increase the interest rate on new mortgages in order to offer a higher rate to the investors to compensate for the higher risk. In normal times this is how the market works. In the current circumstances the Investors were not going to buy at any price. In early 2009 the Fed came to the rescue to avoid a total shut down of the housing market. They began buying these MMB’s in huge numbers and aaccepted very low interest rates. This restored the supply of money available to make new mortgages at historically low rates, and stabilized the whole residential real estate industry. These Fed purchases have been completed and the challenge now is to attract Private Investors back as buyers for MBB’s. They are there, but will not accept the low rates that the Fed did. Therefore the interest rates paid to get a mortgage will have to go up. Potential Buyers need to be getting serious if they want to take advantage of these historically low rates.